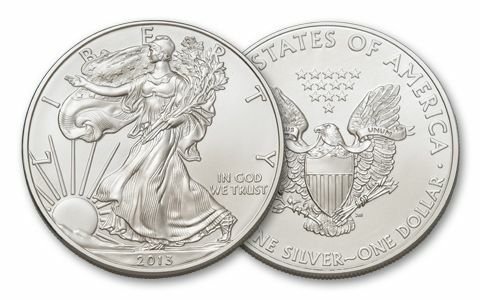 America's finest silver is displayed in all its splendor with the 2013 American Eagle Silver Dollar. It's one ounce of 99.9% silver! 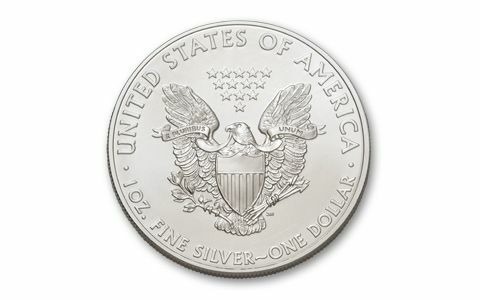 Silver is by far the most affordable of all precious metals - and each full Troy ounce American Eagle Silver Dollar is government guaranteed for its purity, authenticity and legal tender status. Every year millions of Silver Eagles are socked away by savvy buyers. Here's your chance to get this year's Silver Eagles fresh from the mint in blazing Brilliant Uncirculated (BU) condition! 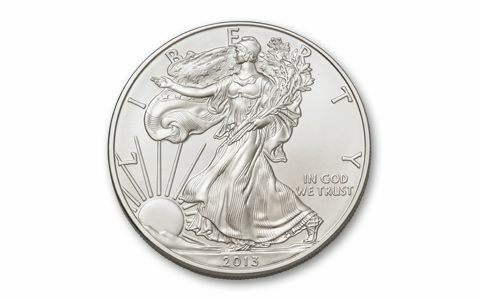 Don't miss out on your Silver Eagles before supplies run out for 2013!